If you’re like me, a title like “The Truth About [Anything]” is a compelling one that makes you want to read more. I believe we all, on some level, yearn to know the truth. Especially if you’ve heard contrasting things about life on Saipan, it would be nice, once and for all, to get to the truth of it all, wouldn’t it? Even the news media has an agenda. People joke that the media’s motto is “Never let the truth get in the way of a good story!” Good (read salacious) stories sell papers, magazines and advertising. Yes, the truth changes based on who is speaking and what they want out of life. So, whether Saipan is a paradise or a den of corruption is all based on one’s agenda. If you are a pessimist who wants people to wallow in your misery, then Saipan is one thing. If you’re an optimist, bent on helping improve conditions, it’s another. If you call yourself a “realist” (generally a pessimist in disguise), then things generally tend toward the negative with the disclaimer that you’re just being real. But that’s all okay, because if you know a person’s agenda, then everything they say and do makes sense (unless their agenda is specifically to confuse you about what their agenda is; or unless they’re just crazy). And, if you know a person’s agenda, then you won’t be unduly misled by their claims to truth. So, with that said, what’s MY agenda? As the author of several passionpreneur books, and as evidenced by the title of my weekly column, my agenda is to encourage people to start their own businesses based on their passions. However, I have other agendas as well. One is to help all peoples optimize their assets, achieve empowerment, and maintain control over the things that matter to them. Here on Saipan—for my own selfish reasons—I’d like to maintain the cultural diversity, natural beauty, and uncomplicated lifestyle that I’ve come to love about living here. But wait, there’s more. There’s also a part of my agenda that some may consider subversive, and that is to reveal the underlying deception of most modern ideals and belief systems, encourage a lifestyle that values simplicity and minimalism instead of consumerism, and excess, that favors the natural over the artificial, and at the same time honors everyone’s right and freedom to choose whichever lifestyle works for them. 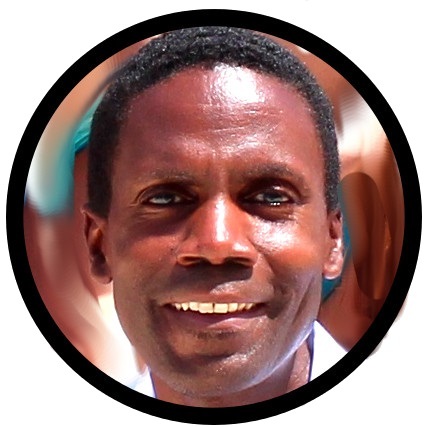 My goal is to help people arrive at a set of choices that creates a clean environment, promotes optimal health, safeguards the rights and freedoms of all, and offers an effective understanding of reality. Even my “facts” are selectively offered based on my agenda and what I want you to see. I can strive for a 50-50 balance, but even then, I’ll always tend to give at least 51 percent (accentuate the positive, and eliminate the negative, as Bing Crosby sang) to aid the possibility of victory and the triumph of hope. * Saipan is overcoming a branding challenge. In other words, what comes to mind when people think of “Saipan” isn’t always what those of us who actually live and work here think are its best assets. We’re emerging from the shadow of an era tainted by a controversial garment industry, and other bad (accurate or not) press. 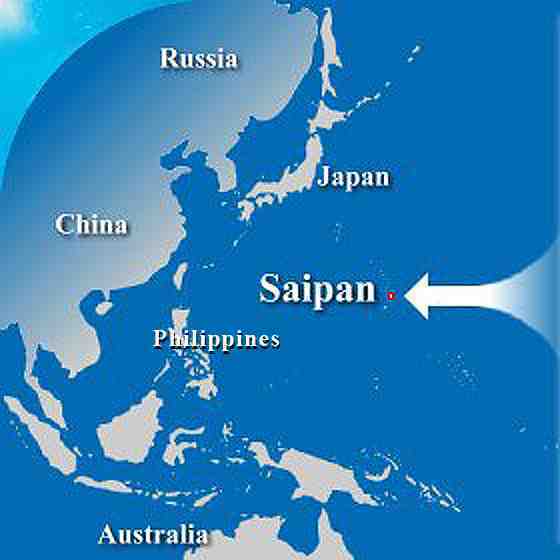 * Like the rest of the world, there’s an economic transition taking place on Saipan. In addition, there are agendas for federalization, immigration and labor reform, which make this an island on the verge. However, even with these and other changes and challenges, there are a multitude of assets which make this a great place to visit, vacation, live, learn and love! * Great Weather: Saipan holds the Guinness World Record for most consistent temperature. The average difference between night and day is greater than the average difference between winter and summer. Those of us who actually live and work here on Saipan enjoy warm tropical weather year round. * Natural beauty: There is natural, pristine beauty here in the form of beautiful sunrises, beaches, foliage, fruits, sunsets, rock formations, aquatic life and more! * Proximity to Marianas Trench (the deepest part of the world’s oceans): While no one actually goes diving that deep, our proximity to such a rich, bio-diverse, unexplored region of the world’s oceans has blessed us with underwater life that makes Saipan one of the best places for…. * World class diving: World class shore diving, “Eagle Ray City,” and the Grotto are just some of the activities and locations those who dive our waters rave about. * Discovery of ecological significance: Scientists and students of ecology can learn much about life on our planet from our coral reefs (estimated value comparable to Hawaii), and the pristine, biodiversity of our waters. The U.S. government recently created the Marianas Trench Marine National Monument (an area of over 12,000 square nautical miles) in recognition of this significance. * Cultural diversity: Life on Saipan has been influenced by the Spanish, Germans, Japanese, and Americans! The indigenous Chamorro and Carolinian people, immigrants, guest workers, tourists, investors and students from Asia, the Pacific, and America, make this a place of unprecedented cultural/ethnic potential. * Historical significance: Without needing to glorify war and violence, it stands as fact that Saipan was a key battle site during World War II. It’s been said the Cold War started on Tinian, the island just 3 miles south of Saipan! That’s where the atomic bombs dropped on Japan were launched! * Archeological significance: Ancient artifacts of some of the planet’s earliest civilizations are found here. * Unsolved mysteries: The case could be made that there are stories waiting to be told about the Amelia Earhart mystery, sunken Spanish treasure ships, World War II disappearances, ancient civilizations in which Saipan figures prominently. What might you discover on your own? And that’s just some of the truth about Saipan. (Don’t forget my agenda). Despite its challenges, many who come, stay. Many who leave miss it terribly. And many who travel the world over come back to enjoy a way of life they can’t find anywhere else. Those of us who actually live and work on Saipan know this to be truth. “What were the people like in the town you just left?” The resident asked back. P.S. On the site, you’ll also discover some interesting truths about the little-known Touwalawas people of Saipan! I think you’ll find them interesting. Note: After last week’s Save Saipan column, I was contacted by Jeaniffer Hiponia who created a Facebook group called “Being the Change that Saipan Needs.” Find it on Facebook and let’s all join her movement, too! www.change.gov, www.whitehouse.gov, www.regulations.gov, and www. dhs.gov. The more the better.